The past decade has seen the rise of Neil Patrick Harris from '90s trivia staple to beloved household name. Today Harris turns 41 — after 26 years in show biz — and he's got quite the impressive legacy following him around: He's been the star of not one but two memorable shows, his coming out of the closet was a landmark event in Hollywood history, he's earned his reputation as one of TV's most reliable and entertaining go-to hosts, and he just won a Tony for Hedwig and the Angry Inch . That last one, in combination with his flurry of hosting gigs, also serves to remind us of a very important things: Neil Patrick Harris is one of modern Hollywood's most delightful song-and-dance men. So why not spend his birthday celebrating that? From Cabaret, to Assassins, to Dr. Horrible's Sing-A-Long-Blog, to Rent, to Company, Harris has never shied away from a project that required a musical performance. And thank goodness, cause he rocks. Did you see that Hedwig Tonys performance? He gave Orlando Bloom a lap dance! The guy knows how to execute a good show. So here are some of our favorite Harris musical moments throughout the years. The moment Harris officially won over the geek contingent. 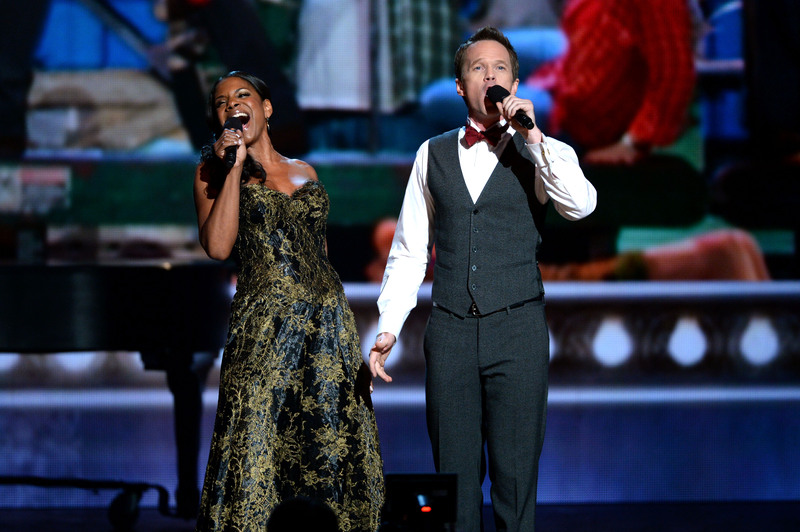 Tony Awards 2011 Opening Number, "It's Not Just For Gays Anymore"
There's a reason they keep asking him back to host. Just take us back to this episode, Glee. ...Dary. Never have daddy issues been more hilarious. Seriously, when is the sequel happening? ?